Búho Books invite you to our first literary event on thursday 27th of february at 18.00 in La Olla Quemada. Silvio Sirias will present his latest book “The Saint of Santa Fe” in english. We are happy to announce that León now has a bookstore! Búho Books have now opened in the frontroom of Hostal Calle de los Poetas. The books are second hand, and there is a variety of categories and languages; Novels, clasics, social science, history, travel books, diccionaries and more, in english, spanish, dutch, german, norwegian, swedish and more. The bookstore also works as an tourist information office for Journey Nicaragua – so feel free to stop by for some information and a coffee. 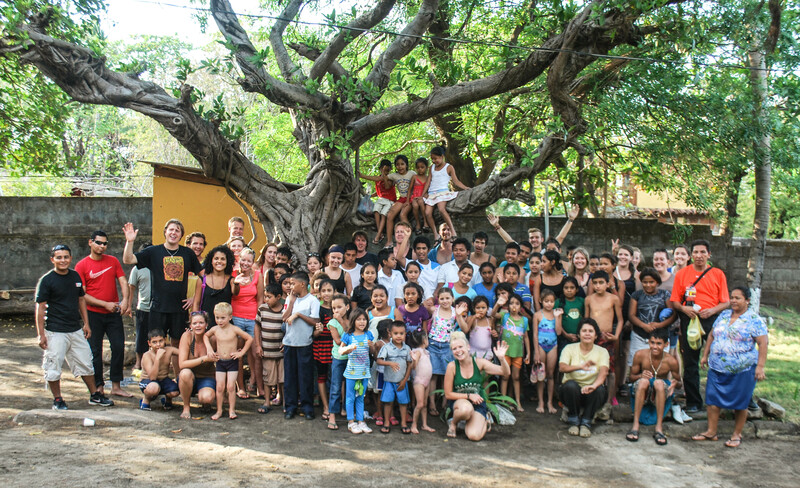 Together with Futboldelavida and students from Kulturstudier, we invited the children from Proyecto Barrilete to Rigo’s Guest House for some football, swimming, play and fruits. Some of the children told us afterwards that they had never been to Las Peñitas, eventhough they live in León! 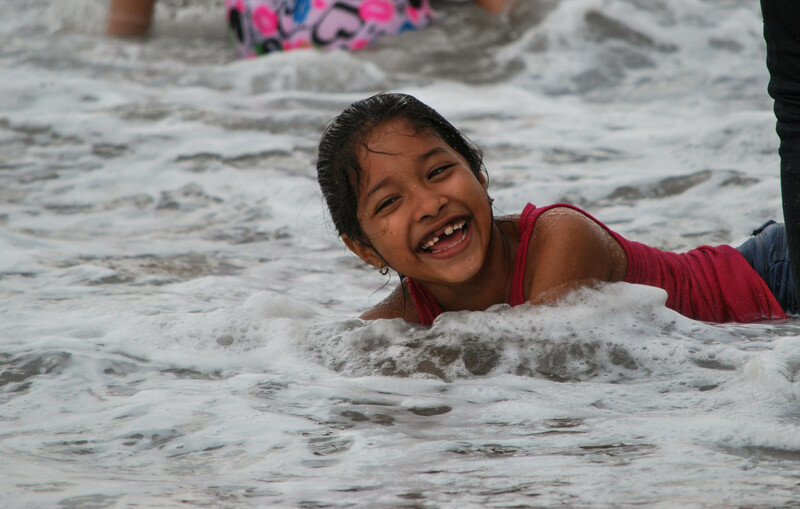 The waves were a bit rough, but everything went well and the children and adults were enjoying the sea a lot. They told us that it was a nice to get away from the everyday life and do something completly different. We feel the same, so we will try to make this a tradition. It was a wonderful experience for the children, and for us! Please join us this June 25th at 7pm at The Monkey Republic for our first meet and greet. All NPO’s, NGO’s ASSN’s, ORG’s, etc… or people interested in helping and/or networking with those who are helping are welcome. There will be a 10 cord entry fee to help cover the cost of operations. It is located half a block west of The Park of San Juan. At 7:30pm sharp, we will have a row of chairs across from each other and we will all sit down and have exactly 30 seconds to share info about yourself and what you are doing and what you may need help with. Every minute we rotate seats. After the speed meet we will simply mingle. For all of us here who have a heart to help, why not join together and help connect the missing links? Many of us work under or for different names, groups, organizations and non-profits, but we all pretty much have the same goal in mind; To help enpower the people. 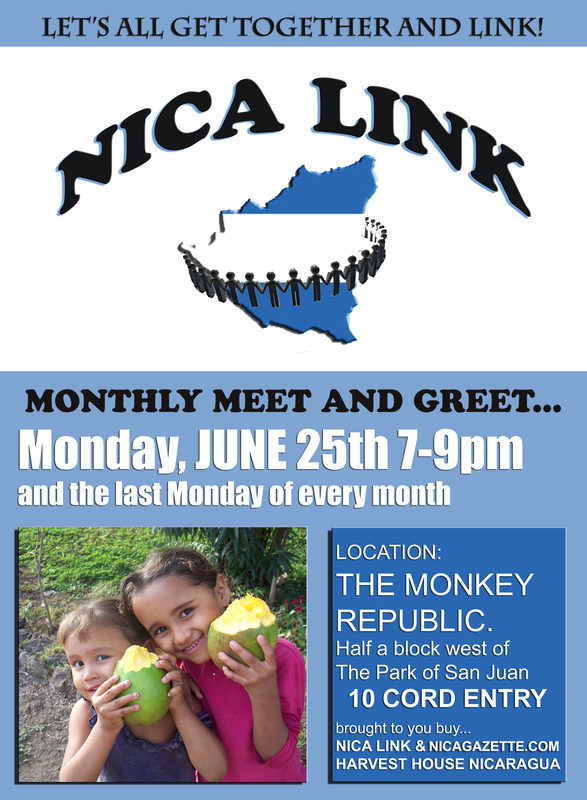 Nica Link will host a monthly meet and greet at The Monkey Republic the last Monday of every month. The sole purpose of this monthly event will be to network with the others working here in Nicaragua for the greater good. Many of us face new and exciting goals and challenges, but don’t always have the resources or funding to accomplish these things. We then seek help back in our own countries when all along there are more than likely groups right here in Leon or Nica who do or know someone else who does what we are looking for. As time passes and this event builds, we believe that by helping find that missing link, we can all achieve great things beyond our imaginations. Alone, we can achieve things, but together we accomplish so much! Let’s get together and get things done! 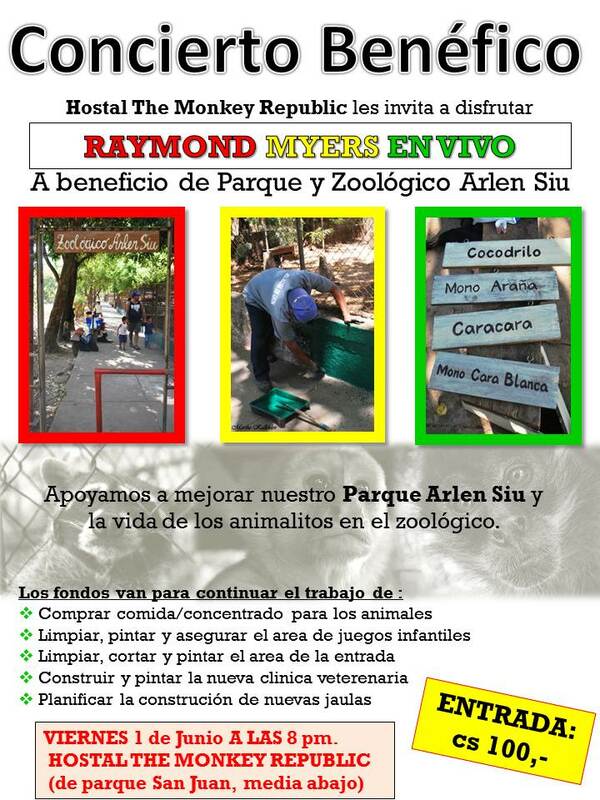 Hostal The Monkey Republic invite you to a charity concert with Raymond Myers on Friday 1st of June at 8pm. Enjoy reggae music and support a good cause at the same time! All the money goes to support the Arlen Siu park and the animals there. We are currently working on our homepage. 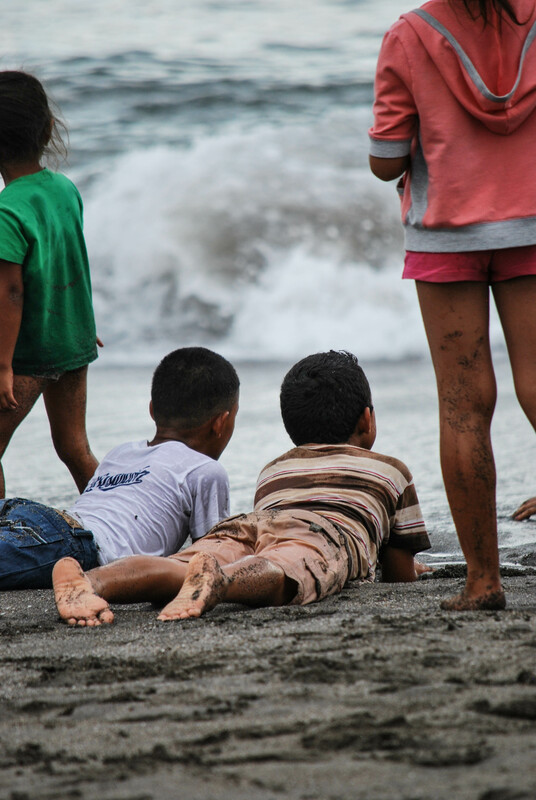 Please visit us on our Facebook page: http://www.facebook.com/JourneyNicaragua or contact us by e-mail: rsampson@ibw.com.ni or by phone: +505 88681569.